Careers - Tait & Associates, Inc.
We foster an entrepreneurial spirit among our associates, and hire individuals who are passionate about their work. At TAIT, we enjoy what we do and the people that we work with. We are growing and have been consistently recognized as an ENR top 500 Design Firm. Becoming a member of the TAIT team is a major step forward in a rewarding career. We’ll equip you with the tools, training, and technology that you need to allow your talent to shine. Take a closer look at our job opportunities. The Civil Design Engineer will assist in the design of land development projects including grading, drainage analysis, street design, street widening, water distribution, sewage collection and storm drain systems. Additional tasks include preparation of SWPPPs, WQMPs and SUSMPs based on the new general permit and water quality requirements by county. The Field Survey Technician works under the direct supervision of an experienced and licensed Professional Land Surveyor, preparing calculation packages and maps for our field crews. The Survey Technician will have an opportunity to learn and advance their skills and knowledge in the Survey Mapping field while working with the latest technological tools. Tait Environmental Services, Inc. is looking for an experienced Underground Storage Tank Tester. The position requires a minimum of 5 years’ experience in construction staking, including experience with buildings, structures, robotics and GPS equipment. Recent field experience preferred. 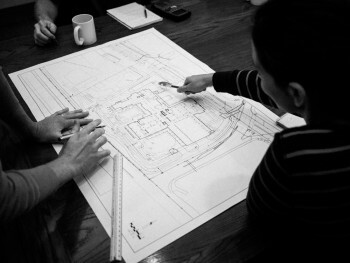 The civil engineering project manager leads a team of planners, designers and staff to transform the dreams of our clients into brick and mortar. The position is really a composite of many jobs- client liaison, civil designer and team leader. We pride ourselves on giving project managers both the flexibility and the support required to run their own projects. TAIT offers the best benefit package to our associates. Our benefits include top tier healthcare plans such as Medical, Dental, Vision, 401k with an above industry employer match, FSA access, and company paid Life Insurance and LTD/ STD. The civil engineering Project Manager leads a team of designers and other support staff to transform the dreams of our clients into reality. The position is a composite of many roles- Client Liaison, Civil Designer and Team Leader and covers various public and private projects. We pride ourselves on giving Project Managers both the flexibility and the support required to run their own projects. The Civil Project Engineer will assist in the design of land development projects including grading, drainage analysis, street design, street widening, water distribution, sewage collection and storm drain systems. Additional tasks include preparation of SWPPPs, WQMPs and SUSMPs based on the new general permit and water quality requirements by county. Join the TAIT Team! We are looking for talented, motivated, and technically driven individuals who want to join a company with excellent opportunities for career growth and development. TAIT fosters and encourages each Associate’s entrepreneurial spirit with every project & design opportunity. We provide a variety of training opportunities to develop your skills, top tier benefits because we care about your well-being, a real work-life balance & the flexibility life needs, and an unbeatable friendly, professional, positive work environment. This position is responsible for the assistance of assembling and installing pipe systems and pipe supports. Install pipe for diesel, gas and propane systems, normally used to fuel emergency generators. This position will be assigned to Prevailing Wage jobs as well as non-Prevailing Wage jobs. Position will require travel based on project needs for up to 3 weeks per month in various states throughout the US. The Development Project Manager position is responsible for the successful execution in the land development process from project conception through construction. The Civil Project Engineer will assist in the design of private and public land development projects including grading, drainage analysis, street design, street widening, water distribution, sewage collection and storm drain systems. Additional tasks include preparation of SWPPPs, WQMPs and SUSMPs based on the new general permit and water quality requirements by county. The ideal candidate has exceptional research, writing, and organizational skills to assist and support TAIT’s Proposal Manager. An individual who is adaptable and able to work individually as well as take direction from team members will be best suited for this position. Possessing a can-do attitude, creativity, and effective time-management skills will lead to individual success. The Proposal Manager will lead the Proposal and Business Development functions. Responsibilities include, but are not limited to, helping prepare proposals and presentations, organizing/updating database of project information, coordinating meetings, and writing proposal material from scratch. The ideal candidate must have excellent interpersonal skills, be able to work well with all levels of the organization, be detail-oriented, and proficient in desktop publishing, such as InDesign and Adobe Acrobat. Experience with a construction, architecture or engineering firm required. The Administrative Assistant for the Rancho Cordova office is a position of high visibility, both internally and external to the firm. Presiding over the reception area, the Admin. Asst. will often make first contact with clients, potential clients, and business partners. The impact of this first impression cannot be overstated. It is imperative that this individual possess superior communication skills, maintain a pleasant disposition, and clearly reflect the values of the TAIT organization. To be considered for this position, all applicants must have previous Vapor Recovery experience. Conduct and properly document testing, maintenance, and repairs of UST’s and AST’s. Technician will ensure that state and local regulatory directives regarding storage and monitoring systems are met. Work closely with client personnel as company representative. Perform maintenance and troubleshooting without direct supervision. The Development Project Manager position is responsible for the successful execution in the land development process from project conception through construction. The Development Project Manager reports directly to the VP of the Land Development Group. The Development Project Manager position is responsible for the successful execution in the land development process from project conception through construction. The Development Project Manager will work to support the Norco office projects.